Infertility remains, by far, the hardest challenge I have ever faced. It is a silent, but deadly struggle. Most couples going through infertility would whole-heartedly agreed with this statement. A couple experiences not only physical struggle, but also the mental and emotional struggle that goes along with it. Often times, you wouldn’t even know the struggle exists. There are ways to help couples going through infertility, but it doesn’t make the struggle any less difficult. Take a second and imagine the one thing you would give anything to have or acquire. What would you do if someone suddenly took that opportunity away? What would you do? Can you imagine the daily defeat you would feel? For many of the reasons given above, infertility remains a topic that not many people talk about — either out of ignorance, embarrassment, or discomfort. Anytime you talk about the S-E-X word in your own life, things can start to become very personal and very uncomfortable…very quickly. Personally, my husband and I did not talk openly about our battle with infertility at first. Frankly, we were embarrassed. We felt like we had problems and didn’t want to open ourselves up to the vulnerability. Our parents knew, but only them. Even as I went back and forth to infertility appointments, my co-workers and friends didn’t have a clue. We just didn’t want to talk about openly (yet). We weren’t ready to expose ourselves and probably couldn’t admit the pain and struggle we actually felt. As a result, we didn’t have individuals who knew what we struggled with….and we felt alone. If you look around a crowded room, there is probably a large amount of individuals experiencing infertility. But you can’t tell, because it’s not a blatantly apparent condition (unlike its opposite–pregnancy). And how would people know about a couple’s infertility if the couple doesn’t share with those around them? The “right” or “wrong” way to share (or not share) your infertility story doesn’t exist. Yet when those around you can’t extend support and love to you during a dark time in your life, it’s easy to feel alone and continue to struggle that much more. That’s when it becomes not only a deadly struggle, but a silent one…and lonely. The stigma of infertility has decreased a bit, because of increasing awareness of infertility in general and on specifics. But still there remains a perceived stigma upon those who can’t have children. Although many won’t say it directly, someone experiencing infertility feels (and is sometimes treated as) defective — like they aren’t 100% woman or 100% man, because they can’t achieve something humans were made to do: reproduce. I avoid using the word infertile to define someone, because it places a label on them which can feel derogatory. It also suggests a finality of a condition, which may or may not be the end. Someone experiences infertility. Please don’t make it define them. 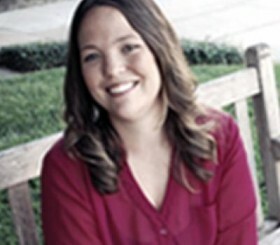 As my husband and I coach couples preparing for marriage, we cover the topic of kids. We include questions regarding the potential of infertility, so that the couple gets a chance to proactively process what they feel about children prior to experiencing infertility. Why do we do this? Because infertility never crossed our minds as a struggle we would experience during our marriage. Like many young newlyweds we thought more on avoiding a pregnancy rather than dealing with the potential of infertility. So when we decided to officially start trying to get pregnant, you can imagine how blindsided we were to the fact that it would be such a challenge for us. This ignorance caused us more mental pain and struggle than we could have imagined. 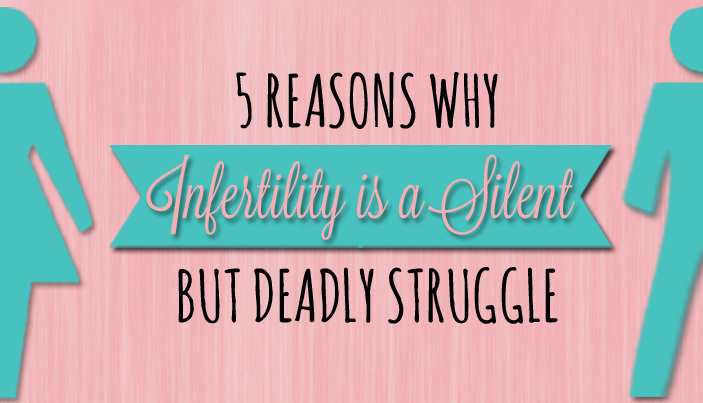 As you read through this list, you find a few of the reasons why the battle with infertility is a silent, but deadly struggle. No one would choose to go through this journey, but the process shapes, refines, and molds who you become. Please encourage small groups to read this. Please preach about it, pastors. Don’t fear it. Please create a culture where it’s okay to share about infertility. Please don’t talk about women as only mothers. Tons of women would give anything to have a chance at motherhood and don’t need a reminder of their pain and struggle. Go the extra mile to help infertile couples. Share and show hope as those you know grieve during the infertility battle. Don’t let a silent struggle stay silent. If you’re a woman, you either already have or almost undoubtedly will hear the tick of your biological clock at some point in your life calling you to become a mother. In my case it had been a hectic period in about 2 years. While I haven’t challenges getting pregnant, I go through hell, unable to sustain them – missed abortion, slighted ovum, miscarriages and ectopic pregnancy. It’s been hell! I had been frequent in hospitals of all shapes and sizes. Finally I saw the advertisement of one Ukrainian clinic. It`s called biotexcom. After short consultation with stuff, my husband and I had flight to Ukraine. We were positively surprised by the prices there. In addition to successful treatment I have seen a great tourist country and communicated with Ukrainians. During the pregnancy doctors all the time look after me and are always ready to do everything for the baby. Now I have two wonderful children. There is always the opportunity to find a suitable variant. Also I recommended not being lazy and reconsidering all information about facility whose services you are going to use.